Brooklyn, New York City’s most populous borough, is awash in history and culture. Originally a city in its own right, Brooklyn was joined with the surrounding areas, including Manhattan, in 1898 to form what we now know as modern day NYC. 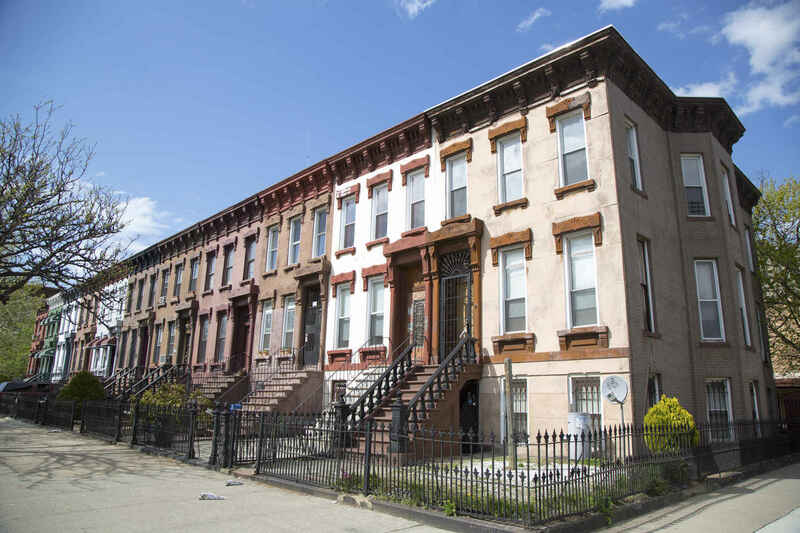 This rich history that goes back to the colonial era, has influenced the borough’s character, as well as its architecture, with large swaths of the borough being considered to be part of Brownstone Brooklyn as well as being designated historic districts. In recent decades even the neighborhoods outside of what would be considered prime Brooklyn have experienced a renaissance as the borough has been going through a major real estate and development boom. 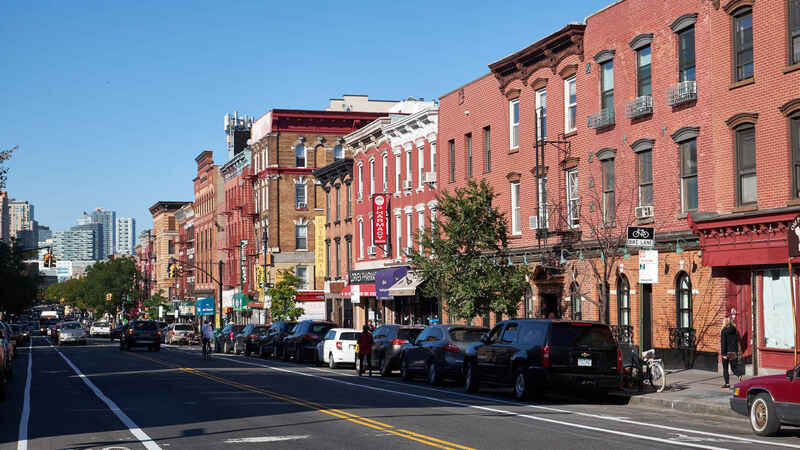 Located in the southwestern corner of Brooklyn, and separated from the rest of the borough by the highway, Bay Ridge has maintained a cozy, small-town vibe even as many of the surrounding neighborhoods have gentrified. Known for its stunning waterfront parks which offer up spectacular views of the Verrazano Bridge, Bay Ridge is a neighborhood filled with cobblestone, tree-lined streets and historic row-houses. Bay Ridge’s tight-knit community has long made the neighborhood popular with families, attracting many who were looking to plant roots in the area over the years, yet in recent times the neighborhood’s relatively attractive real estate prices have made Bay Ridge appealing to a more diverse crowd. The R train is the only subway to pass trough the neighborhood, but those looking for a more scenic commute can enjoy taking the ferry to downtown Brooklyn’s business districts or lower Manhattan. Boerum Hill offers its residents a delightful mix of classic old-world Brooklyn brownstone living combined with a more trendy West Village type vibe. 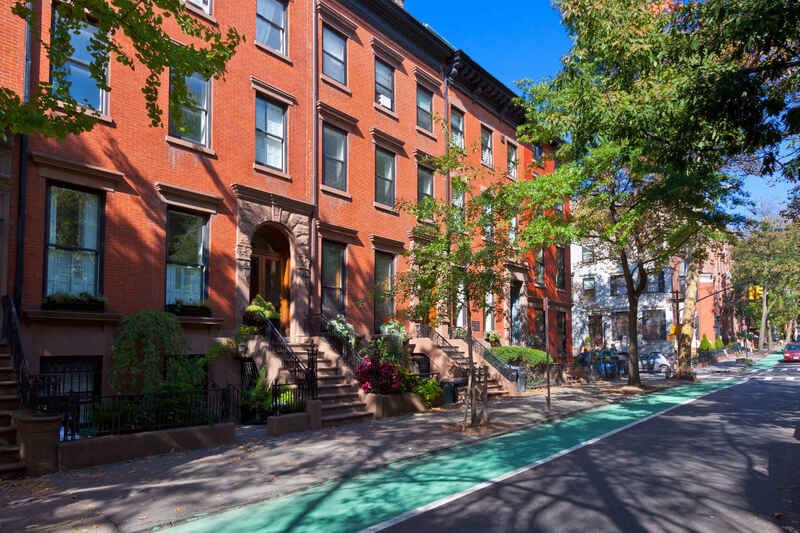 The neighborhood is known for its tranquil, tree-lined streets as well as its architecture and is home more than two hundred 19th century townhouses and brownstones, most of which are located in the to appropriately named Boerum Hill Historic District. The neighborhood is conveniently located in the heart of Brooklyn providing easy access to the borough’s many attractions and entertainment venues, including Barclays Center, and is also only a short 20 minute subway ride from Manhattan. 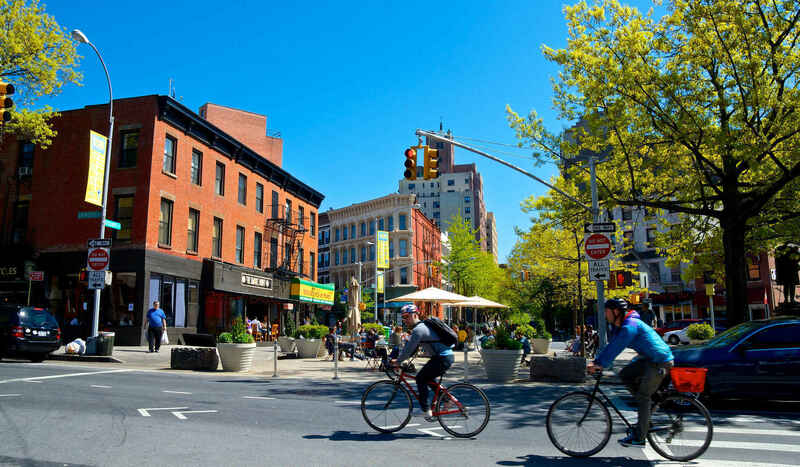 Boerum Hill also offers plenty to do within its boundaries especially when it comes to the neighborhood’s thriving shopping, culinary and bar scenes. 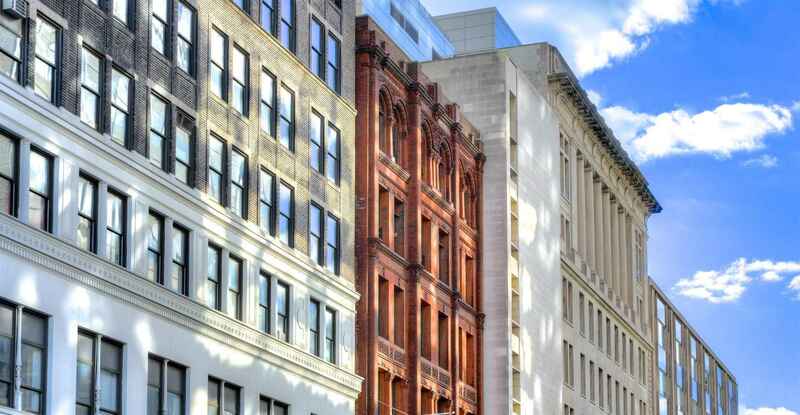 The area surrounding Smith and Court Streets in particular is home to a bevy of chic shops, designer boutiques, hip bars, and trendy restaurants. 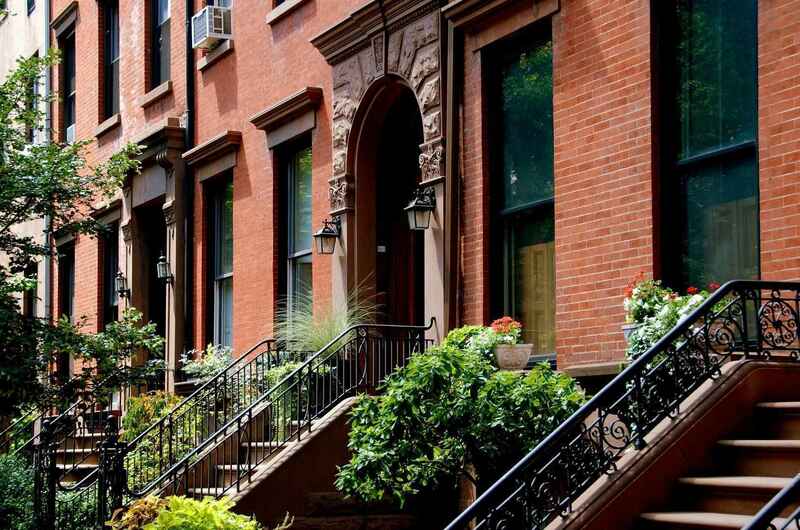 Brooklyn Heights (originally known as Brooklyn Village) is a cozy, residential neighborhood known for its rich history, picturesque cobblestone streets, and stunning architecture. The neighborhood is often referred to as the epitome of “Brownstone Brooklyn” by locals, with its iconic rowhouses, many of which predate the civil war, helping lead to the city’s creation of the Brooklyn Heights Historic District in 1965, the first such district in New York City, to ensure the preservation and protection of the area from unwanted development. Located directly across from Manhattan, on the banks of the East River, this scenic neighborhood offers residents a convenient commute into the city and jaw-dropping views of New York City’s skyline and the Brooklyn Bridge. The neighborhood is also home to a lively waterfront Promenade and a great collection of trendy shops, chic cafes and excellent restaurants. 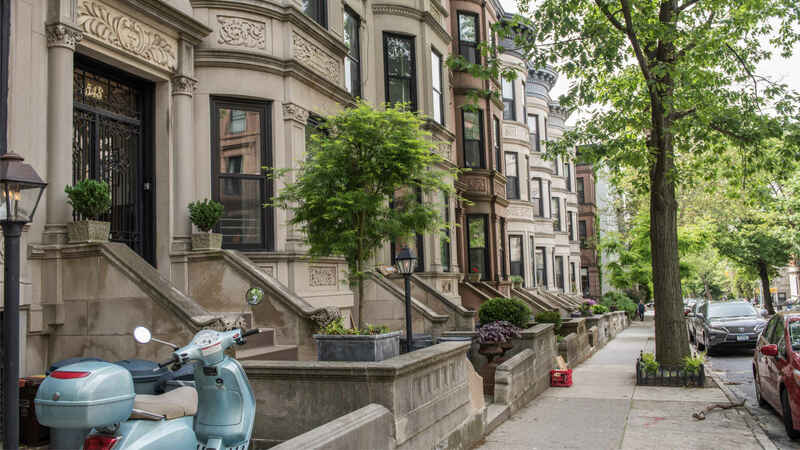 Carroll Gardens offers its residents the perfect setting to experience quintessential Brooklyn brownstone living with a touch of European flair thrown in. The neighborhood’s tranquil, tree-lined streets and park give the neighborhood a laid back, relaxed air while its many trendy cafes, acclaimed restaurants and chic boutiques create a vibrant social and entertainment scene. Named for Charles Carroll, one of colonial America’s wealthiest men and the only Roman Catholic signer of the Declaration of Independence, Carroll Gardens has a rich cultural heritage having attracted many Irish, Italian and most recently French immigrants over the years, all of which have left their mark on the neighborhood influencing its character with their culture and traditions. This is reflected in the many mom-and-pop businesses and artisanal shops you'll find in this tight-knit community. 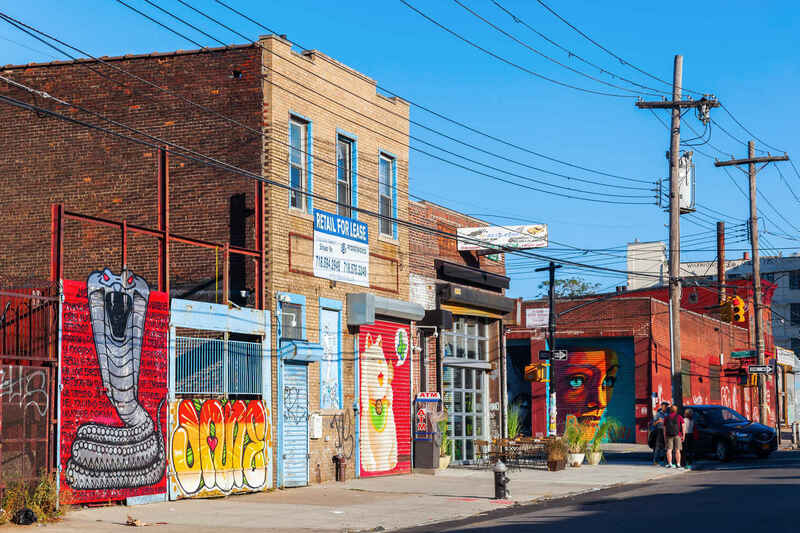 Crown Heights is rich in history and culture, which when coupled with the area’s attractive real estate prices has quickly begun to attract an influx of new residents and businesses, helping to transform the neighborhood into one of Brooklyn’s up-and-coming hotspots. With its central location in the heart of Brooklyn, Crown Heights offers residents a bit of everything, including access to Brooklyn’s flagship park, Prospect Park, which is located on the neighborhood’s southwestern border, as well as cultural attractions like the Brooklyn Museum and the Brooklyn Botanic Garden. 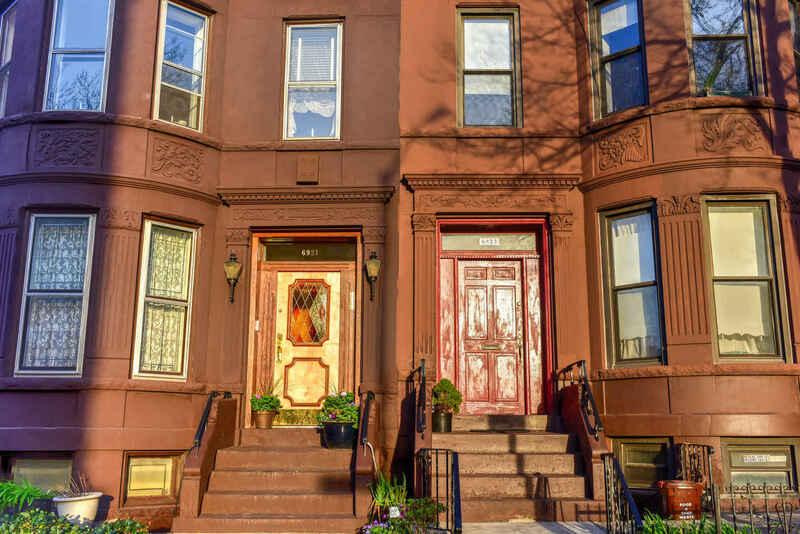 Many parts of the neighborhood offer up a timeless Brooklyn brownstone vibe with their tree-lined streets and historic townhouses, particularly in the Crown Heights North Historic District. The neighborhood is also home to large Caribbean and Jewish communities and is known for its restaurant scene, rich culture, and vibrant nightlife. Historically the commercial and civic center of the borough, Downtown Brooklyn has seen a rise in residential real estate development in recent years with dozens of new luxury condo towers and apartment buildings being built in the neighborhood. With its central location in the heart of Brooklyn, the neighborhood offers residents great access to public transportation, and a quick, convenient commute to Manhattan all while being just a stones throw away from the action in neighboring hotspots Dumbo, Fort Greene and Brooklyn Heights. As in other primarily commercial neighborhoods evenings tend to be quieter, with less crowds and nightlife, creating a tranquil, family friendly vibe. Attractions in Downtown Brooklyn include the Fulton Street Mall, with its many shops, cafes and restaurants, the NYC Transit Museum, and Barclays Center. The Brooklyn Academy of Music is also only a short walk away, in neighboring Fort Greene. Dumbo, an acronym for Down Under the Manhattan Bridge Overpass, has quickly become one of Brooklyn’s hottest neighborhoods, appealing to New Yorkers with its raw, industrial architecture, picturesque cobblestone streets, relaxing waterfront and spectacular views of Manhattan. Formerly a manufacturing district, the neighborhood was colonized by a mix of artists, musicians, entrepreneurs, and creative types who converted its many vintage warehouse spaces into luxurious residential lofts and tech startup offices. This in turn helped spark a development boom in the neighborhood which led to the opening of many chic boutiques, trendy galleries, and a bevy of new bars and restaurants, transforming Dumbo from a lightly populated commercial district into the hip, flourishing residential neighborhood it is today, much like Soho and Tribeca before it. For many years Greenpoint was known as an isolated and sleepy hamlet with a large Polish population located on Brooklyn’s northernmost tip, but recent years have brought about a real estate development boom leading to its rapid transformation into one of the areas most exciting and vibrant neighborhoods. A young, artistic crowd has been drawn to Greenpoint, creating an eclectic mix in this family friendly neighborhood, which you may recognize from its many appearances as a setting in film and television shows (including The Departed, Donnie Brasco, and Law and Order SVU among many others). 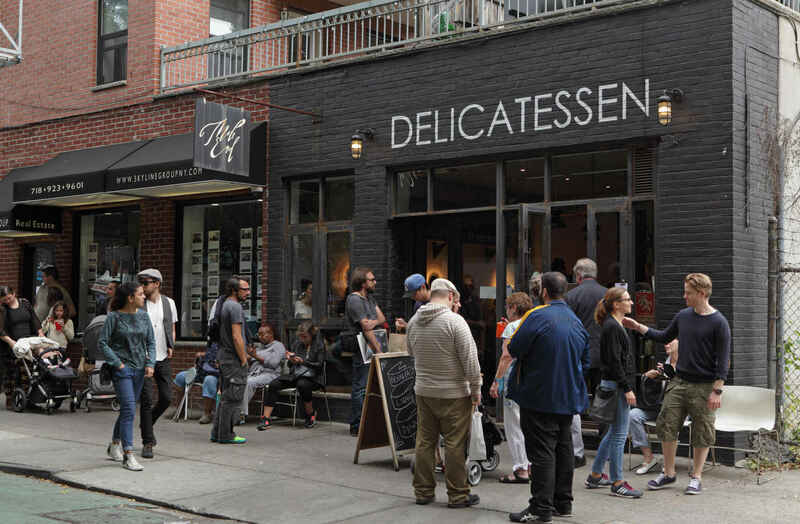 This influx of new residents has led to a bevy of trendy new shops, hip bars, chic cafes and restaurants opening their doors along the neighborhood's tree-lined streets. With its many parks, stunning views of Manhattan, vibrant entertainment scene and creative yet tranquil vibe, Greenpoint has it all. Park Slope, located on the western slope of Prospect Park, is one of Brooklyn's most desirable and iconic neighborhoods. 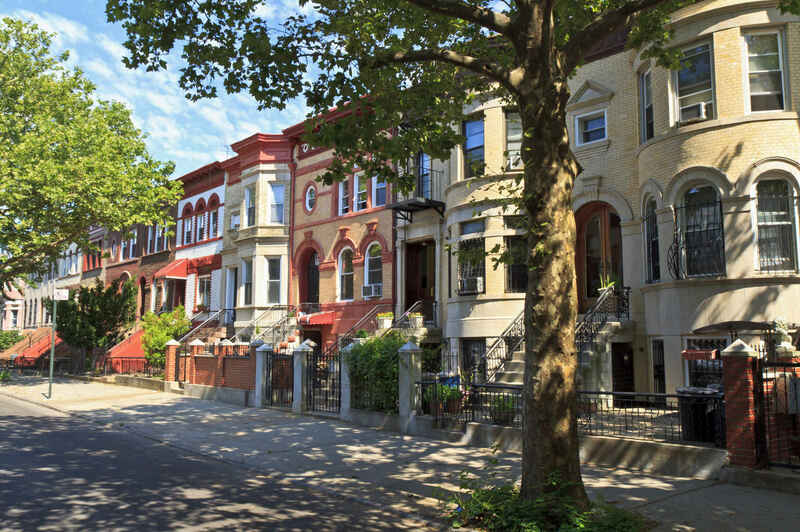 The neighborhood’s sterling reputation precedes it as Park Slope has long been considered to be amongst the best New York City has to offer and was even named one of the “Greatest Neighborhoods in America” by the American Planning Society. Park Slope is home to an eclectic mix of residents, with picturesque townhouses and row-houses on the neighborhood’s well-manicured, tree-lined streets attracting families looking for classic Brooklyn brownstone living, while the neighborhood’s thriving entertainment and restaurant scenes appeal to a younger, hipper crowd. 5th and 7th Ave in particular are home to many great boutiques, book & record stores, coffee shops, wine bars and beer gardens. Neighboring Prospect Park is also a major attraction and a great place to spend a weekend afternoon enjoying a picnic, barbecue or bike ride. 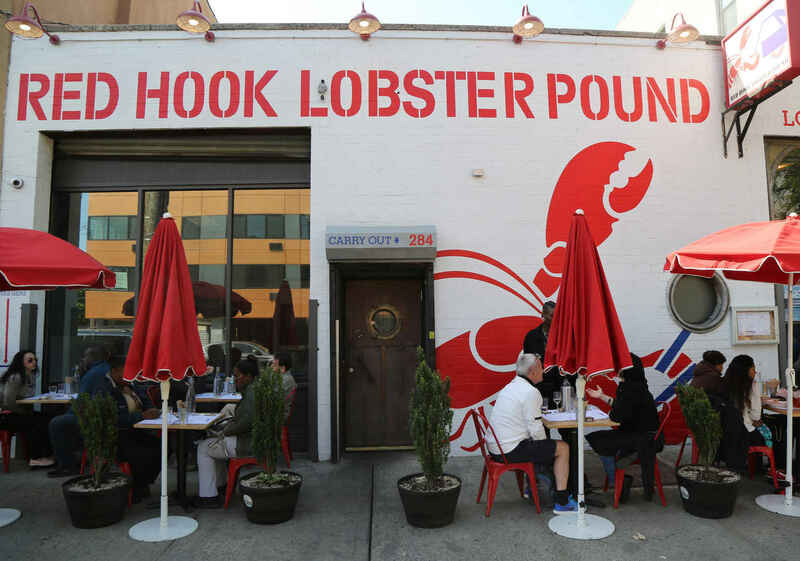 Located on the waterfront and separated from the rest of Brooklyn by the Gowanus Expressway (I-278), Red Hook has retained much of its historic charm and character. The neighborhood is a throwback to old New York with its red-brick buildings, cobblestone streets, and industrial warehouses. The relative isolation of Red Hook makes it attractive with families and those who want to be part of a tight-knit community. Red Hook's overall lack of transportation (the nearest subway station is almost a mile away) has also helped keep rents and real estate sales prices from rising at the dramatic rates seen in neighboring Carroll Gardens and other parts of Brooklyn. Lately, however, the neighborhood has seen a wave of new infrastructure being built, including a new ferry service to Manhattan and other parts of Downtown Brooklyn as well as the introduction of Citi Bike. There has also been some new real estate development. While some residents are worried about the changes this may bring, many are happy with changes and improved accessibility to the rest of New York City. Located in southwestern Brooklyn, Sunset Park is a diverse neighborhood that is known for its waterfront location and its namesake park, which boasts jaw-dropping views of the Manhattan skyline. For decades the neighborhood seemed to be forgotten by many, with rents seemingly stagnant, and little real estate development. This made it an ideal landing spot for immigrants and led to the growth of large European, Chinese, and Latin American communities in the neighborhood. Things have quickly begun to change in recent years, however, and Sunset Park has experienced an influx of new, younger residents along with the businesses that cater to them, particularly in the western half of the neighborhood, closer to the waterfront. Nowadays the area can best be described as up-and-coming with Sunset Park West being amongst four neighborhoods named “New York’s Next Hot Neighborhoods” by the NY Times. All in all Sunset Park is a great place to call home, and there are still plenty of deals to be had on real estate in the neighborhood. 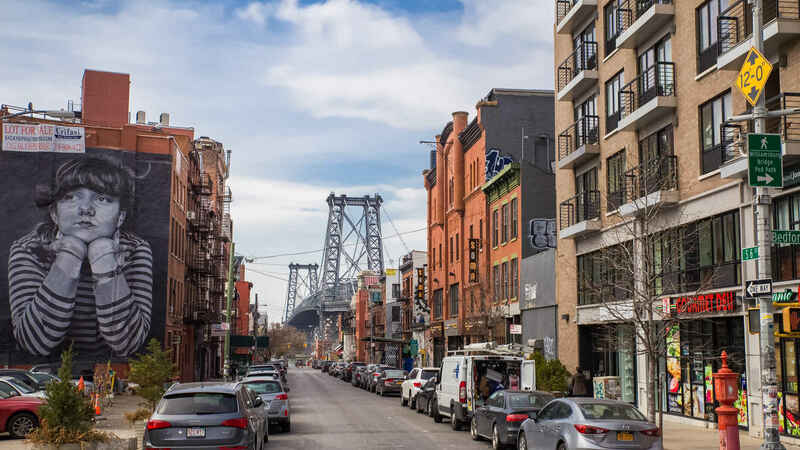 A care-free, independent and artistic hipster vibe is at the heart of Williamsburg, where you’ll find no shortage of restaurants, boutiques, cafes, rooftop bars, outdoor markets, and live music venues. Formerly a commercial district, the neighborhood was rezoned and redeveloped on a large scale starting in the mid 1990’s with its many industrial warehouses being transformed into luxury residential apartment complexes and lofts. Williamsburg has a rich cultural scene and is also home to many art galleries as well as some of Brooklyn’s coolest street art and murals. This rich cultural and entertainment scene has led many to compare the neighborhood with Berlin, even creating the moniker of “Little Berlin”. The neighborhood is conveniently located in the heart of Brooklyn, offering easy access to Manhattan, a lively waterfront with many parks and stunning views, as well as some of the best nightlife in New York City.